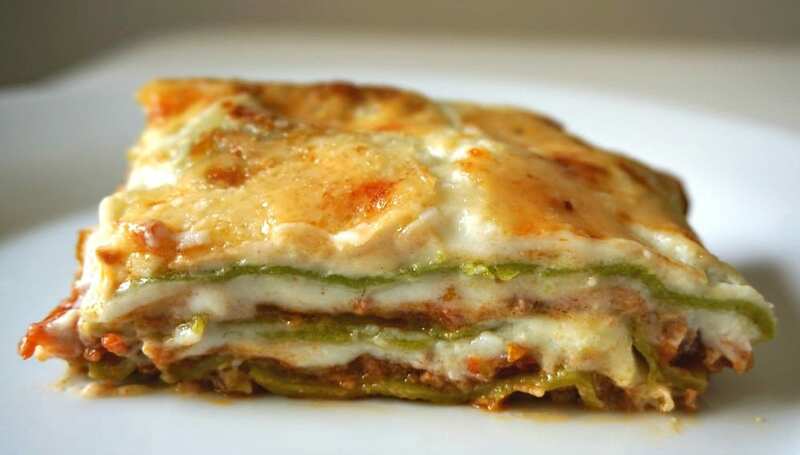 Green Lasagna is a classic Italian dish that we first discovered on a trip to Bologna, Italy. Bologna is in the Emilia Romagna region of Italy where Parmigiano-Reggiano cheese is produced. It is also the place where Bolognese sauce (or Ragu) originated. 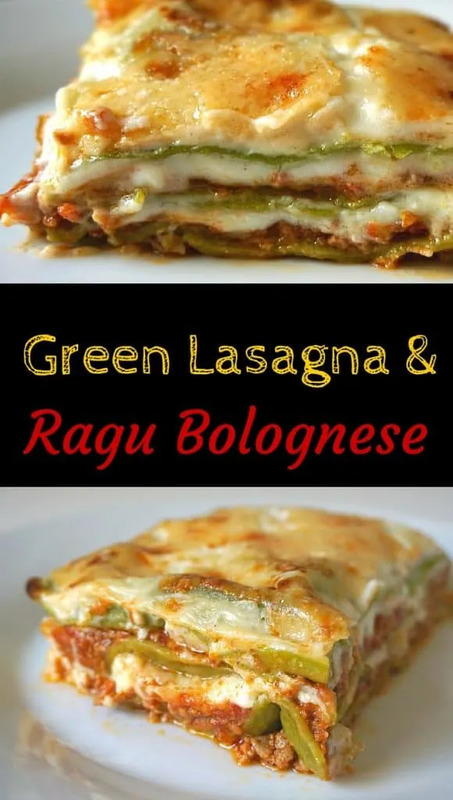 These two ingredients are paired up in this recipe with a white béchamel sauce and fresh green lasagna noodles. The pasta itself is green from the addition of spinach in the pasta dough. The thick bolognese meat ragu sauce is designed specifically to go with broad noodles such as tagliatelle or lasagna that stand up to the dense flavorful sauce. If you don’t have a specialty shop with fresh pasta, don’t worry – you can use dried lasagna noodles that are cooked al dente and still get good results. Just make sure you use a nice thick bolognese ragu sauce and authentic Parmigiano-Reggiano for best results. Any Italian cook will let you that it’s all about starting with quality ingredients and letting their flavors shine through. Coat a 9" X 13" baking dish with the olive oil. Add a small layer of Bolognese sauce to the bottom of the pan. Add a layer of noodles. Cover with Bolognese sauce, top with bechemel then spinkle with Parmesan. Finish with a layer of mozzarella and then begin again with a layer of noodles. The last layer should be noodles covered with bechemel and parmesan. Bake in a preheated oven at 375 degrees for approximately 30 minutes. The sauce should be bubbling and the edges of the dish should be browned. Remove and allow the lasagna to set for 10 minutes before serving. Check out our food finds/recipes section for more recipes inspired from our travels around the world. And if you are planning some travels of your own, you can find money savings tips and other information we have compiled after 2+ years of full-time travel in our resources section. Note: Some of the links on this page are affiliate links, which mean that if you click on them or make a purchase, we receive a small referral fee at no additional cost to you. So click away! And if you do – thank you so much. Your support is genuinely appreciated.